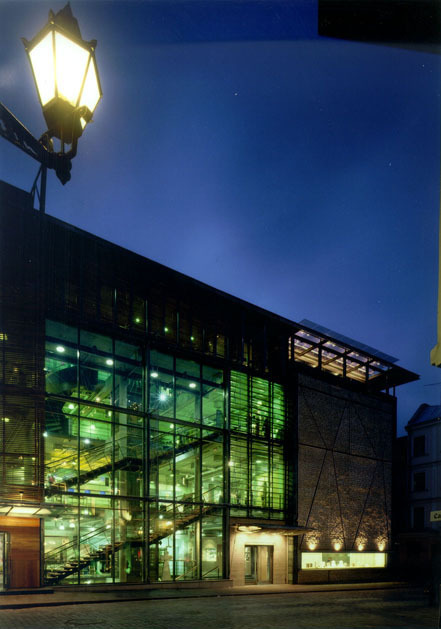 One of the most celebrated buildings by Alver Architects, De La Gardie department store is located at the main entrance into the touristic Old Hanseatic part of Tallinn. Situated on its main shopping street Viru, the building is filling a void left from the air-raids of the WW II. 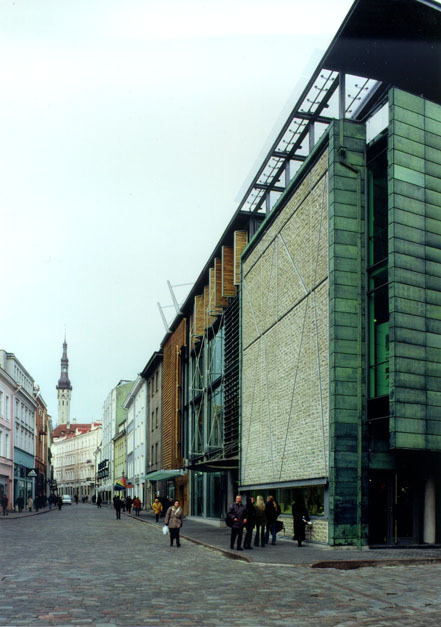 The building is a result of keen discussions between architects and planning and conservation authorities about the possibilities of new buildings in a medieval city belonging to the UNESCO world heritage list, and till this day remains one of the few examples of modern architecture in this part of Tallinn. 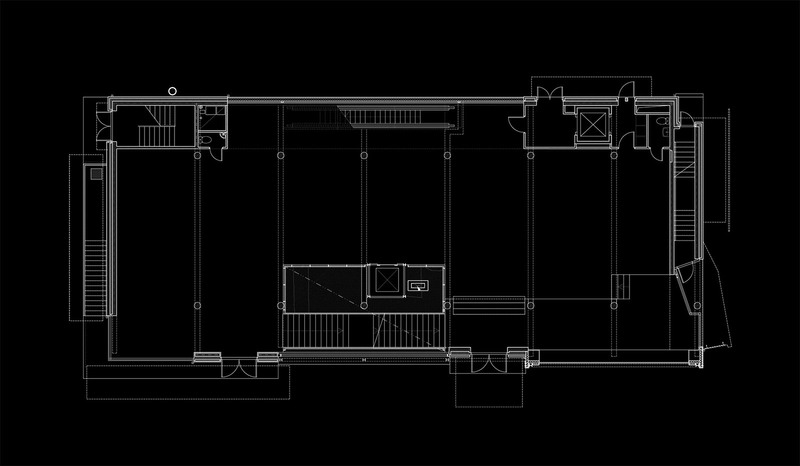 The building structure fits precisely within the borders of the three historical lots that make up the building site. 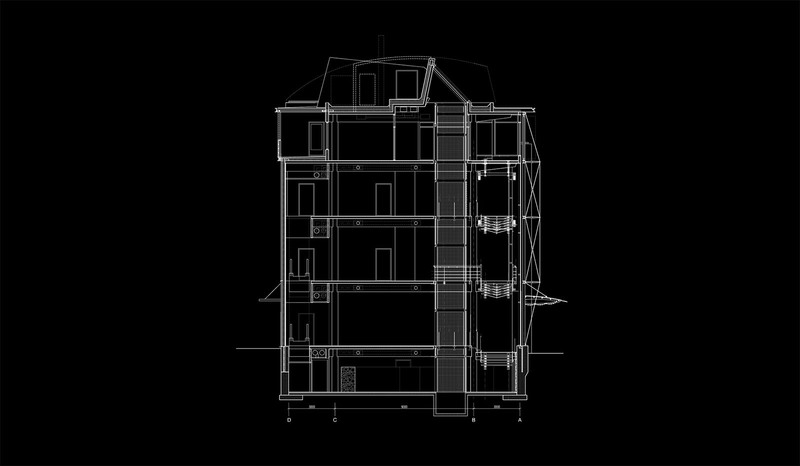 Its volume and street facades take into account the surrounding scale of streetscape, its height and rhythm and changes brought by the 19th and 20th centuries. 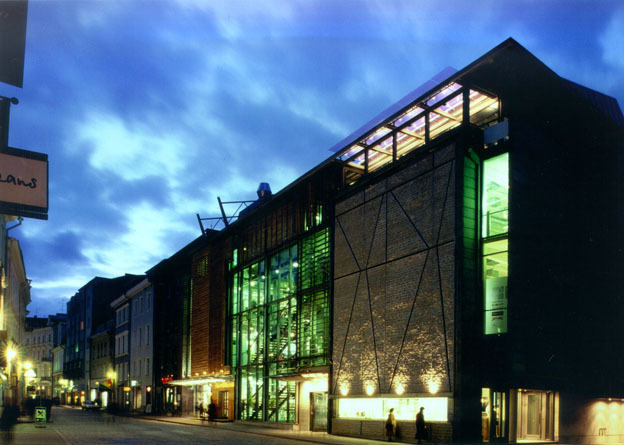 The choice of materials mirrors the existing facades of historic buildings, but also adds some fresh points in using traditional materials. The three different parts of the main facade are covered with wood, glass, and limestone. The two main entrances are framed by portals, in wood and in concrete. 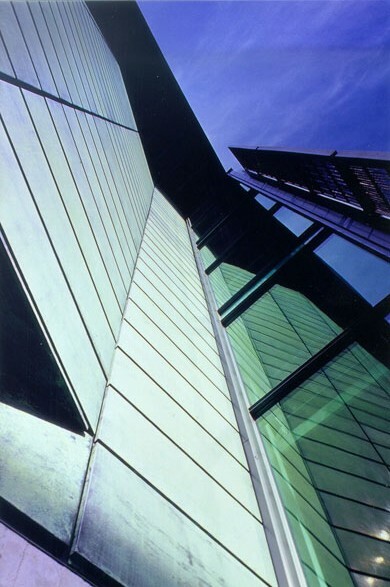 The narrow end of the building on a side street is covered with pre-patinated copper panels. A glass staircase, facing a medieval limestone city wall is additionally covered with stainless steel wire mesh. 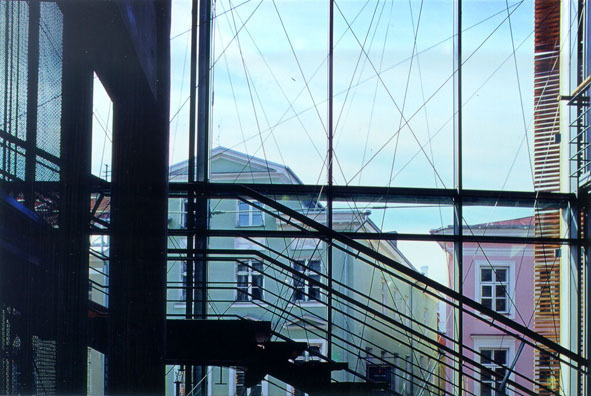 The program of the building consists mostly of commercial retail spaces. 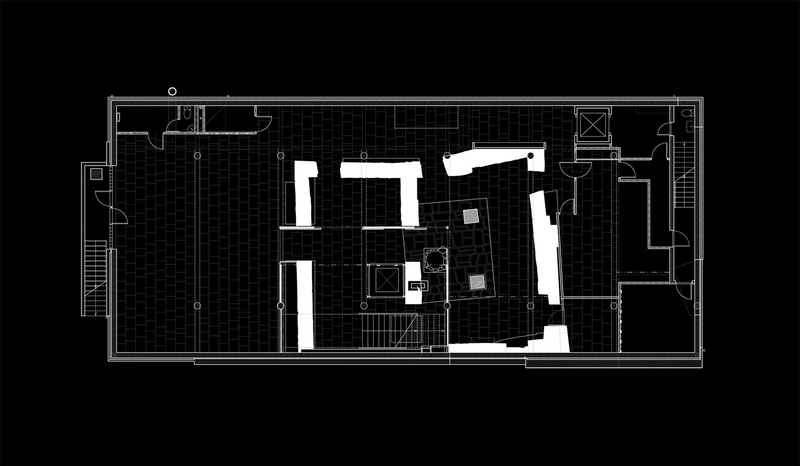 Basement floor and three upper floors are used by different shops and the 4th floor is left for a cafe / night club and a restaurant. 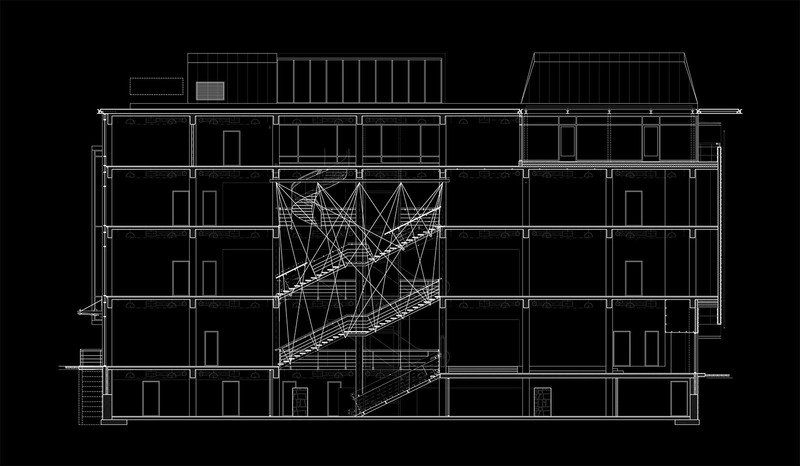 The interior space of the building is built up around a vertical atrium that contains an open suspended stair with wooden steps and a glass elevator in a wire mesh tower. 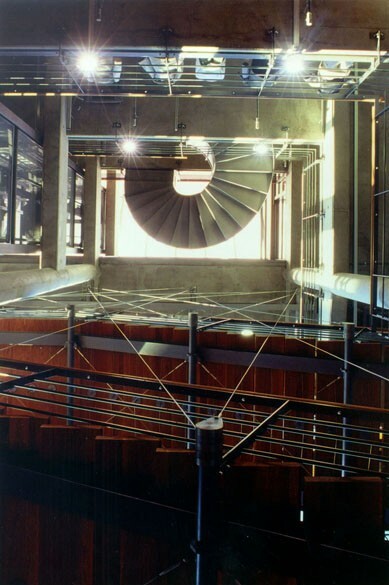 A curved steel stair connects the 3rd and 4th floors. Escalators and a service elevator are situated in the back of the building. The main structure of the building is made up of two rows of in-situ concrete columns and floor slabs supported on the perimeter by cantilever beams.